Making Room: Our Life in Sicily: Lena's first meal! ... it's time to start feeding her some real food! So we mixed up rice cereal and breastmilk and gave it a try. 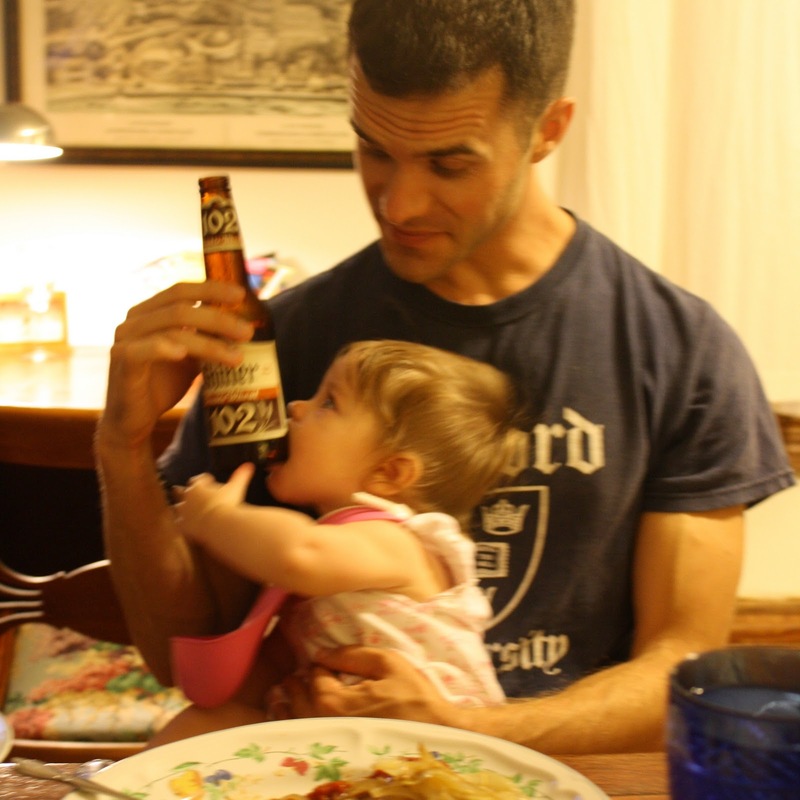 Her expressions were sometimes hilarious, but she caught on to the idea pretty quickly. Next up, some yummy carrots or sweet potato! 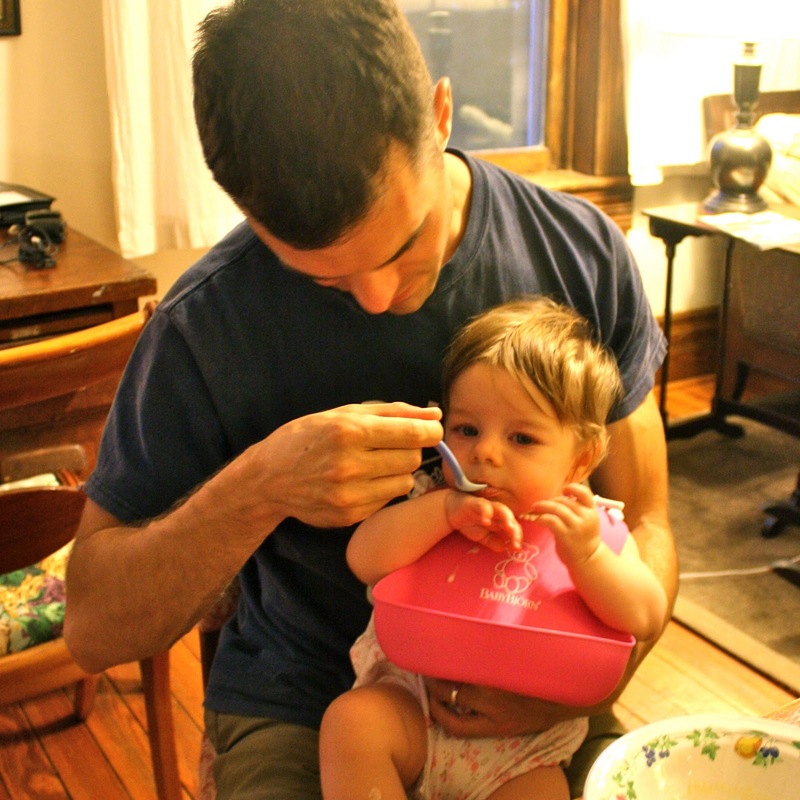 (Rice cereal isn't exactly a great way to develop a baby's palate for all the fruits of this earth.) Hopefully my diet will help her take on new flavors and tastes soon, since she's been getting plenty of varied flavors through my milk for the past 5.5 months. 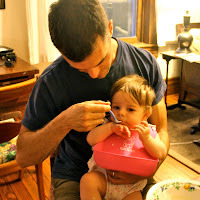 If you're a mom or know about feeding babies, do you have any advice or humorous stories to share? I'd love to hear them as we begin this new stage! sweet potato mush is delicious, what small child wouldn't love that? i know i'm not the momma expert you're looking for, but is yogurt a good thing for babies to start developing good bacteria? so great! I love your videos. Lena is gorgeous. she's going to be eating by herself before long! already grabbing the spoon! woah, I didn't know babies this young could eat food? ?